Budapest is full of unique, dreamy and serene sites. Visitors on a tour to Eastern Europe should definitely visit at least some of them. Some are well-known urban spots and their vibrant atmosphere created by the crowd is bound to energize you. Others are hidden in the tranquil hills and gardens, off the beaten path, for the moments when you need nothing more but amazing views and sounds of nature. All are delightful and worth your visit. Let’s check out a few together. The first one on the list is a Budapest’s treasure that dates back to 1700s. This relaxing, stunning botanical garden of the Eötvös University, called “Füvészkert”, located in District VIII, is home to more than 12,000 plants that not only look gorgeous but fill the air with inspiring scent. There are also brilliant cactus shows, orchid days, and botanical clubs here. The staff of the Gardens will gladly answer any questions you might have. To avoid the crowds, work days are the best time to go. If you’d like to buy a plant or flower, you can do so in Fitoland located inside Füvészkert. After admiring beautiful plants, it’s time to admire beautiful lakes. Take a walk or lie on a blanket in the grass by the lake. Visit the enchanting Lake Feneketlen (‘the bottomless lake’), home to ducks and gulls who love sharing a meal with passers-by. Rest, have a drink in the nearby cafes, and if you want to be more active, there’s also a tennis court, a running track, and a street workout court. The serene and romantic Lake Naplás is a must-see. During warm weather, you can sunbathe here, and once it’s frozen, it becomes an ice-skating rink. 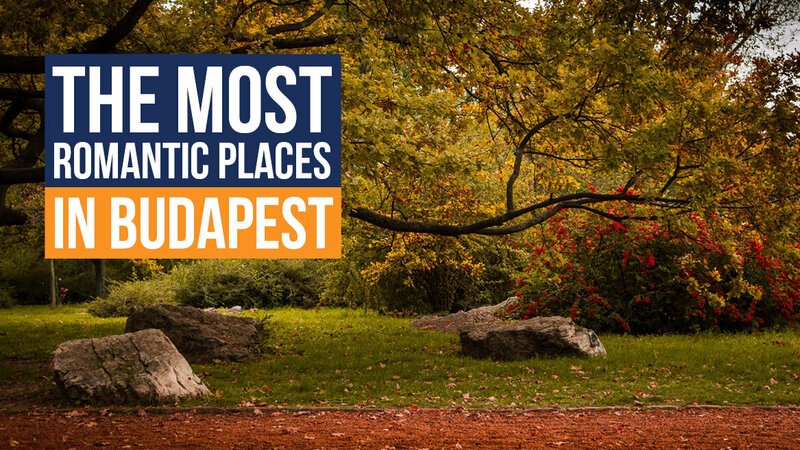 It’s surrounded by the stunning, second largest natural reserve of Budapest, including moorland and a forest, where rare flora and fauna live. It’s also the natural habitat of the European pond turtle. For these reasons, the area has been protected since 1997. There are also hiking and biking trails around it, as well as playgrounds and bird-watching places along the way. How about a walk through a garden with huge fountains and breathtaking rose bushes? Opened in 1928, the popular Szent István Park rests on the Danube bank, surrounded by Bauhaus buildings, offering to its visitors a fantastic view of the Margaret Island and the Buda Hills. It is home to several statues and monuments, including the one honoring Raoul Wallenberg who saved thousands of Jews in Nazi-occupied Hungary. You can have a romantic walk in this park, take your dog out for a stroll, have a picnic, and have a drink in a café that opened in 1938, or even adopt a fabulous rose bush. On Margaret Island, surrounded by the Danube, you’ll find the serenity, the fountains, and the fascinating blooming flora of the Japanese Garden. It was created in the 1970s, and many new species have been added to the garden’s plant family since. Take a walk here, enjoy the blend of Japanese and Hungarian cultures, take in the view and the scents, rest on the garden’s lovely beaches, and listen to the Musical Fountain that plays Attila Csányi’s medieval Hungarian tune that he composed for this fountain from the melody fractions of olden musical pieces. Take a twenty-minute train ride from Keleti Railway Station, away from the crowds, and you’ll enter another dimension. Merzse Marshland is a nature reserve with its own microclimate, fresh air, captivating flora, and magnificent wildlife such as foxes, deer, swans, ducks, turtles, various amazing birds, and many others that you can spot from the lookout. Every time you come here, the untouched environment will be different, as it changes slightly with each passing month. You can go exploring here, exercising, bird watching, etc., and you’ll also find a wooden memorial honoring the Hungarian Revolution of 1848. The awe-inspiring French Neo-Gothic church with 76-meters-high towers, rose windows, stained glass, and delicate woodwork, was completed in 1901 and is dedicated to St. Elizabeth. A 13th-century legend tells us that the young princess Erzsébet hid fresh bread for the poor in her apron, but was caught by her father. She said that there were roses in her apron and the bread indeed turned into roses. That is why the beautiful garden that surrounds the church is called Rózsák (Roses) Square. Mass is held in the church every day, and there is a farmers’ market in front of it every Saturday. There is a lookout tower on the hills of Buda, off the beaten path, overlooking the city, the Danube, the Hungarian Parliament Building, and the Chain Bridge. Few people come here, so you can escape the crowds easily. Regardless if you’re alone or with somebody, if you come during the day or, better yet, in the evening, you can relax here with a hot drink while enjoying the view and the peaceful surroundings.